Here’s a common problem that may sound familiar: it’s painfully difficult to find a CRM your sales team will actually use. That’s because most solutions are built for reporting, not selling, and sales software often becomes little more than a “system of record” you tediously administrate when you’d rather just be selling your product. We knew from the beginning that in sales, power comes from simplicity. So when it came to Pipedrive Gold, we set about automating the boring stuff to get time back on YOUR side. Gold blitzes admin tasks and synchronizes information - so you can focus on what you do best - selling beautifully. 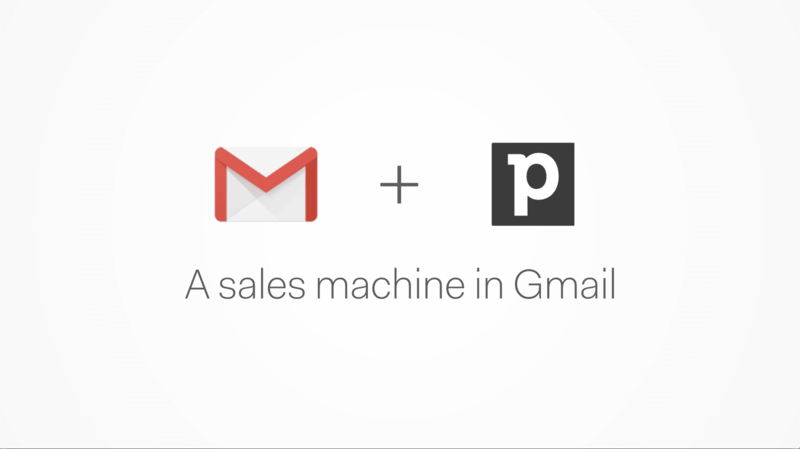 Sales Inbox - All the email features! 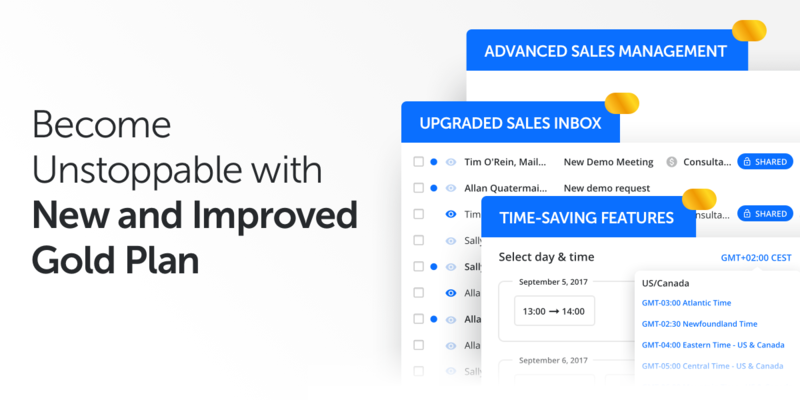 You’d be hard-pressed to find a salesperson who doesn’t rely on email,so we obsessed over bringing you the ultimate Sales Inbox. Email conversations are automatically associated with their respective contacts, giving you full context before continuing to move deals along your pipeline. Nothing breaks your concentration more than leaving your CRM to go check other applications, especially your email inbox. Every. Five. Minutes. With Gold, you can send and receive email directly within Pipedrive. No more switching back and forth, frantically trying to align deals and communications. Horah! Think of all that saved time to be more productive. Meanwhile, all the information you need is captured securely in your Pipedrive account. No more guesswork! Get ahead of the competition with email tracking for real-time notifications as soon as a prospect opens your email. You’ll also be notified if they’ve clicked on any links, which makes it easier than ever to know when to follow-up about what. Don’t be a robot. Be you, but smarter, and send more emails while maintaining your own personal touch. 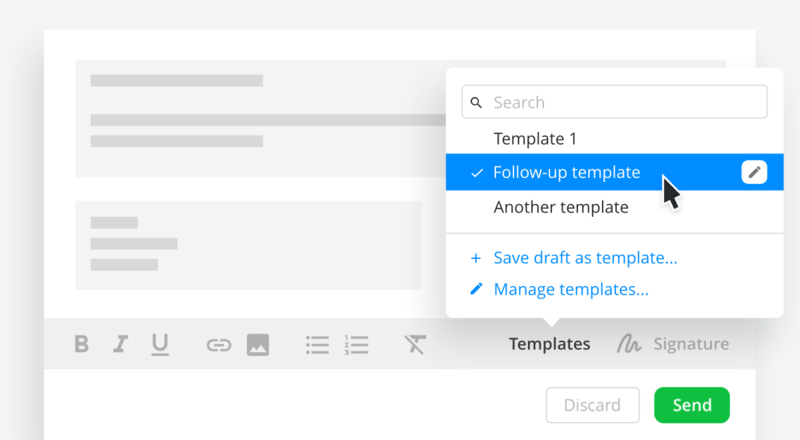 Choose from one of Pipedrive’s templates, or customize your own and simply click (personalize OR to populate) and send. Ta-da! You now have time to focus on the part of the discussion that matters most, while letting Pipedrive handle the rest. 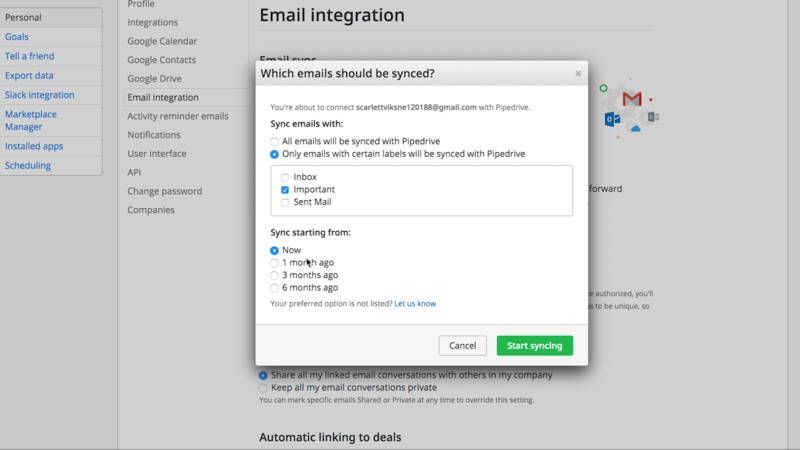 Put your best foot forward whenever you send emails from Pipedrive. 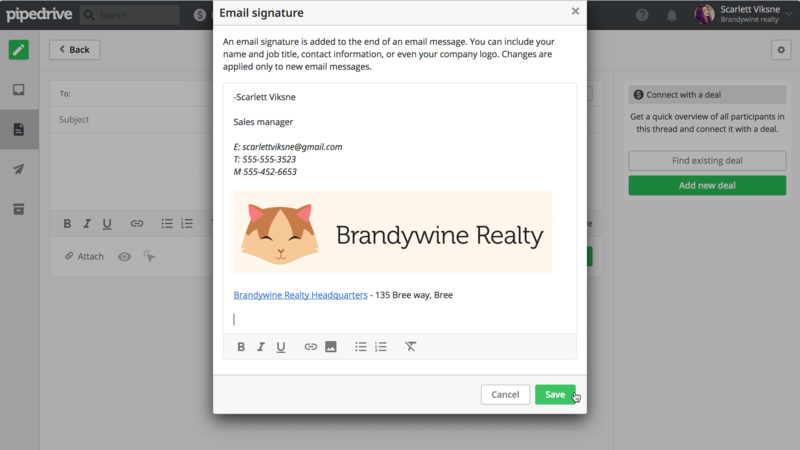 Your fully customizable email signature can feature hyperlinks, rich formatting, images, and essentially the whole enchilada. Whether it’s your weekly availability or a single event, the Scheduler lets you outline slots of time for your clients to book with you. You can then share your availability via a simple URL link, which allows them to book a time that's convenient for you both. No more back-and-forth exchanges on looking for a “good time to talk”. 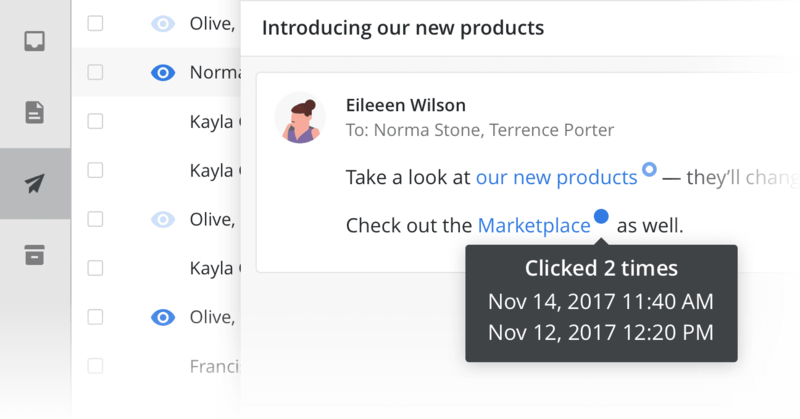 Get to know your leads at the click of a button with Smart Contact Data. This smart-intel feature instantaneously collects web-data about your contacts, appearing in Pipedrive like magic. You’ll learn valuable information from sources like Google+ and LinkedIn, which might just be your key to closing the deal. A great way to catalogue the goods your company offers is with our Products feature. Because “Products” can be associated with deals, you’ll be able to standardize pricing and quickly categorize deals by “product”. Ready to become unstoppable? Whenever you start a new trial with Pipedrive, you’re already trialing our Gold membership and getting the full experience. But what if you’re already a Silver user of Pipedrive and still want to give it a try? Well, fear not! you can still upgrade to Gold and test it out for a month - free of charge. Just follow this link here, or head over to your Billing settings in Pipedrive, and change plans to Gold - you're already all set. If you like it, keep it, and you’ll only start paying the full Gold price ($29 per user) after the trial runs out. If you decide you don’t need Gold features, then just be sure to switch back to Silver in your Billing settings before your test-period runs out.